Love Potato skins loaded? Well this is not your average potato skins loaded. I made some cheesy crusty Italian loaded Parmesan coated potato skins that everyone loves! Boil potatoes with skins on for around 15 minutes or so (or microwave them for 4 or 5 minutes), still a little hard but fork can go into the skin. Drain and cool a few minutes when it's easier to handle. Slice into thick 1/2 inch thick slices leaving skins on. 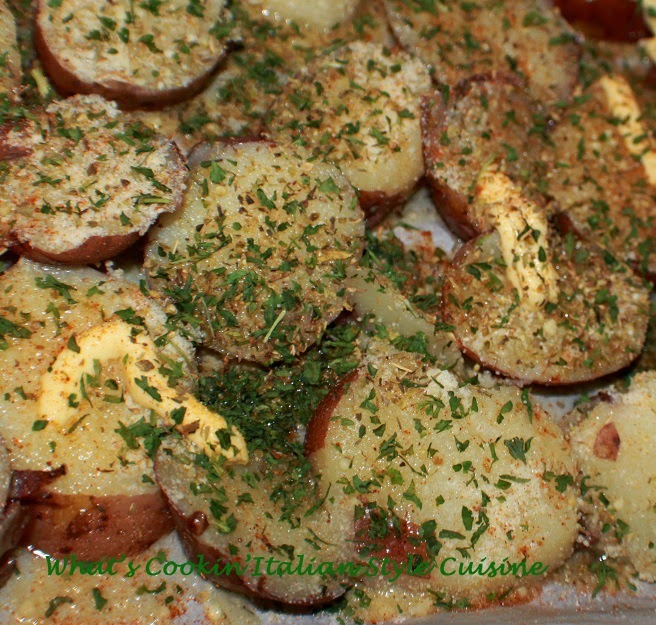 Place on a baking sheet and evenly coat all potatoes with herbs then drizzle all over with melted butter and olive oil. Sprinkle generously with Parmesan cheese salt and pepper to taste then sprinkle with bread crumbs. Bake on a 400 degree hot oven until browned and crispy. When they first come out of the oven place the mozzarella and (if using prosciutto) on top. Put back into the oven and set it to broil. Broil until tops gets lightly browned and melted then serve. 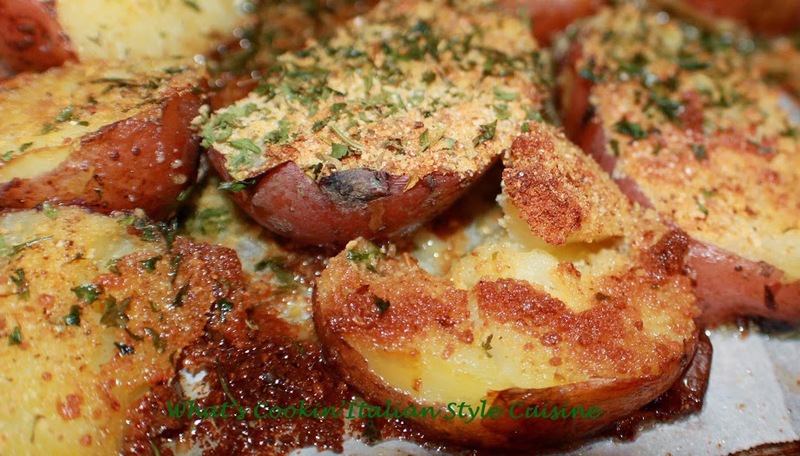 crispy baked Italian Style Potato skins! This is great, lots of good flavor here!